Innovation has led many businesses to seek competitive advantage through technological advancement. This has opened many opportunities for cloud-based solutions to become widespread in the supply chain management. Cloud technologies enable innovations when it comes to efficiency and productivity. Logistics companies using the cloud technology saw changes in the face of supply chain management. 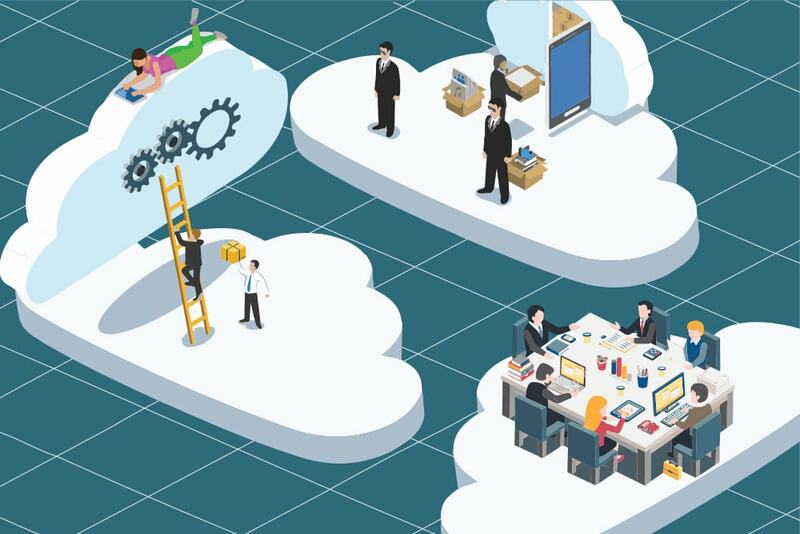 For those organisations wanting to switch to the cloud environment, here are five ways how cloud systems are changing the way you see supply chain management. Cloud technology allows separate systems to be connected in a single platform. Everyone working in the same organisation can access the same information from different points — may it be using computers, laptops or mobile device. This eliminates the hassle of sending new updates, looping everyone in the e-mail or calling to get the latest information. Cloud system enables data to be stored in one secure place and be accessed in a remote area. With this development in connectivity, companies will then be able to see the actual flow of the business transactions. Computer systems will change as the business evolves. This can be a challenge to most freight forwarding and logistics companies. Letting go of what they are used to and learning the new system are just few of the issues they often face. However, with cloud technology, scaling up or down can be done easily. The cloud environment offers scalability in a whole new level and will not cause too much change for the organisation. Easier access and connectivity allows greater collaboration to happen in a company. Cloud technology helps businesses connect to trading partners easily as well as track shipment. Geo-analytics — one of the benefits that businesses can get from cloud-based technologies — allows them to organise their networks. The information gathered from this tracking can then be used to make logistical decisions to ensure the arrival of the shipment in the right place and time. Cloud technology offers seamless integration of systems in one platform, which makes collaboration a lot easier. It also allows information to be accessible across any department and device. These items, when added up, make cloud technology a breakthrough in efficiency. Using the available data will help businesses identify divisions that need more support and will allow them to allocate necessary resources. This further leads to an increase in productivity and efficiency rate and the growth of the business — all these with the help of cloud-based applications. Other companies, on the other hand, outsource some of their tasks to back office offshoring solutions, who are also using cloud-based systems. One of the major benefits and impacts of cloud technology is cost savings. Organisations that are using this structure are seeing reduction on the operational costs. Companies can benefit from the included data and hardware security, reporting and analysis which are part of the perks they get with cloud technology. The impact of cloud technology in the logistics industry is overwhelming. Companies are switching to the cloud environment, and others are outsourcing their back office tasks to CargoWise data entry services providers. These are two trends in the freight forwarding business that your business can take advantage as well.